There's something like 8,142* different Android Tablets on sale right now yet it seems like no one is really using them. I mean, I've yet to see one in public! But that's an inexact method of testing. More exact? How the iPad usage obliterates Android tablets in web traffic. According to Comscore, iPads made up for 97.2% of all tablet web traffic. That leaves 2.8% for the other tablets to split. That's, um, a startling number. 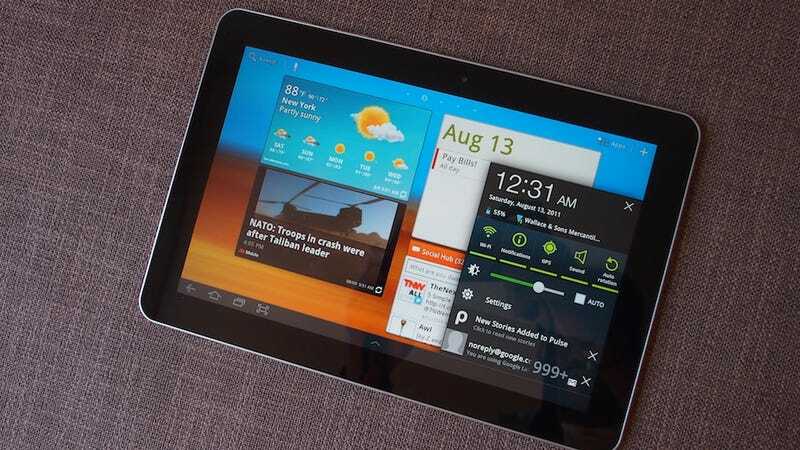 Where are all these Android tablet users? Actually, are there any Android Tablet users? The exact number of Android tablet users has always been doubted (some semantics on whether shipped or bought equals market share) but as late as July of this year, some folks were guessing only a million or so have been sold (compared to nearly 30 millin for the iPad at the time). With so few Android tablets around for people to use, I guess it should be no surprise that web traffic from Android tablets are so low.